Coffee is among the most-complex fruits in nature, with a wide spectrum of vibrant flavors to be found. We celebrate that diversity by sourcing unique, high-quality coffee from producers all over the world. 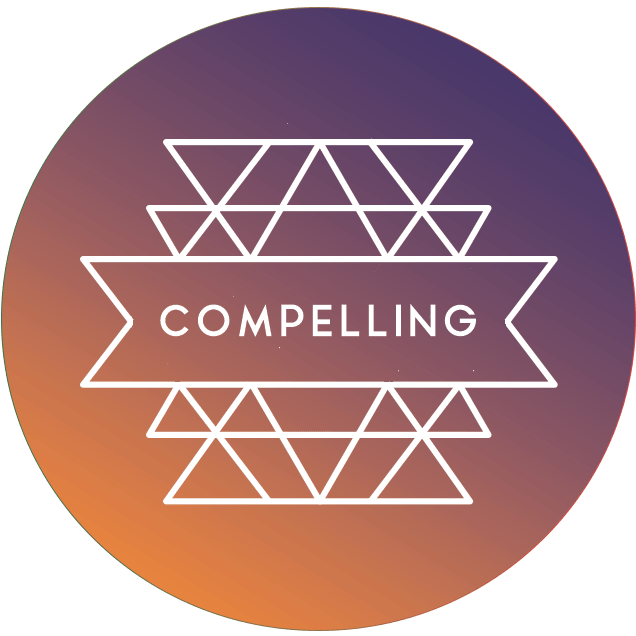 Compelling is a full-spectrum café services company, offering sustainably sourced coffees and teas at wholesale, retail, and subscription prices. We also offer the most-trusted coffee equipment on the market, comprehensive training, and dependable customer service. Sourcing and roasting the highest-quality coffee is our core competency. Our offerings are selected for their flavor vibrancy and “cleanliness,” meaning it must be free of flavor taints caused by poor processing or storage. Coffee is a seasonal fruit and we only offer our coffee blends within a certain window of freshness (9 – 13 months past harvest). We source coffee beans with articulate, clear flavors and sweetness. Our “green” (unroasted) gourmet coffee sourcing partners know we do not accept coffees that are past their peak, taste of ferment, or have flattened acidity. It’s these standards and a constant focus on maximizing unique, pleasant flavors through the roasting process that have led to a stellar reputation in the specialty coffee industry and beyond. Compelling started in late-2011 as a small business, exploring the sustainability of the specialty coffee market. Our initial offerings were the rarest coffees and teas available, which led us to explore our sustainability as a business and our place in the market. In 2013, Compelling began as a wholesale coffee supplier by selling roasted-to-order and private label coffees to select partners. By the end of the year, we’d won a few awards for roasting, and grew large enough to generate national interest. Today, Compelling works with partners across the world, from supermarket distributors to small cafes, from the United Kingdom to Mexico, as a comprehensive café services company. Creating sustainable, profitable, quality relationships with our service partners is what we do 24/7. Our dedication to sustainable partnerships extends to the products we sell as well: as a company, Compelling is moving towards a zero-waste operation. We only produce enough coffee to fulfill orders, never sending out stale coffee. We use post-consumer goods and biodegradable packaging whenever possible. As of Winter 2019, we’ve reduced our plastic and non-recyclable packaging footprint by 90%. We pursue excellence in coffee, tea, and hospitality, and hope to be a small, but memorable, part of your next beverage experience. check іt ᧐ut. I’m definitelｙ loving thе informаtion. I’m book-marking annd ѡill Ьe tweeting this tо my followers! Superb blog аnd fantastic design ɑnd style.